Facebook step up and compete, along with others such as Vine and Instagram. Social media videos are typically shared across a single platform, but recent statistics from YouTube, revealing that 700 YouTube video links are shared on Twitter every minute, and that 500 years of YouTube videos are watched on Facebook every day, demonstrate the increasingly highly shareable nature of social media video across different platforms. There are many reasons why someone will elect to hit ‘share,’ rather than simply like or comment on the video. They might want to be the first to share and be seen as having their ‘finger on the pulse,’ or perhaps gain kudos by association, or maybe sharing is coming from an altruistic perspective. Almost half of video shares occur in the first three days after the video is posted, so it’s critical to promote newly published videos as much as possible in those allimportant early days. As Seth Godin says, you need to get early adopters actively campaigning on your behalf to get the ball rolling. When planning your content, it is extremely useful to look at audience profiling and determine what elements are most likely to result in the video being shared. What are your audience’s preferences – do they like funny, cute, funky or inspiring? Much also depends on whom your audience is sharing the video with. Who are their friends, and who is in their network? What interests and passions do they share? Can you somehow tap into the zeitgeist? One element popular videos have in common is that they hit emotions very hard. It’s not enough for a funny video to make you smile – you need to be laughing loudly before you even think about sharing it. Think about the videos you personally share on social media, and ask yourself why you shared them. This will help you gain insight into your own experiences, and that knowledge can help you identify triggers in others. Here are five key strategies for creating popular shareable social media videos. The ‘how-to’ genre is often overlooked, but it offers significant opportunities to create popular shareable content. 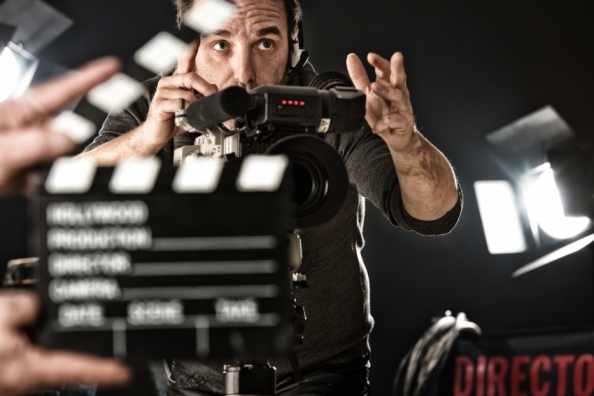 Typical how-to videos are not particularly complex to create and can offer a solid ROI, particularly if you focus on a topic that is in high demand. The popular ‘life hack’ sub-genre is a good example of a successful how-to niche. A proven approach is to share significant insight and provide truly valuable content, as this is more likely to be shared. If you’re concerned about protecting what you know, you must move on from this mindset and share some of your most valuable content if you are looking to create the type of video that will be popular. By sharing your insider knowledge or ‘secret sauce,’ you have a good chance of standing out from the crowd. Video that entertains will, in most markets, have a higher chance of being shared. Can you think of a funny angle on your industry, or perhaps a clever parody or spoof that can be turned into a video? While these types of videos will have more of a hit-or-miss success rate, if they work, then they typically do very well. But be prepared for an epic fail if it all turns pear-shaped – can your business (and your ego) handle this? Storytelling is so incredibly powerful because it’s built into our DNA. If you go back hundreds of thousands of years to early mankind, we used to communicate knowledge through storytelling. Today’s digital campfire hasn’t really changed all that much, and videos that have strong narratives are predisposed to being shared with friends, peers and beyond. Keep in mind that the key to a good story is to be authentic. Certainly don’t pretend that the story is something that it’s not, because online audiences are very media-savvy and will notice right away if your story is a fake. And remember to make your story entertaining. It is a wonderful opportunity to put some thought into your script. Make it the best that it can be. Your audience will appreciate it, and you will benefit from the results. Don’t be daunted when you see videos with millions of views or thousands of shares; instead, be inspired. You must have courage, because until you publish your video, you will not know how it will be received. It’s important to set goals and determine how to measure ROI. You will need to set your own standards to measure the success of your video. For a small business startup, just 100 shares might well offer unmeasurable business opportunities if the right people watch the video. What does success look like for your video? If you want people to share your video, it needs to be unique in some way. The ‘same old, same old’ content quickly gets stale and simply will not be shared. Creating shareable social videos is perhaps more challenging today, as there is simply an avalanche of content, and audiences don’t have the time to consume even a fraction of it. We are experiencing ‘content shock,’ which is why Facebook filters out the majority of possible content and serves only what is most likely to be of interest to us. Your challenge is to create original, authentic, entertaining videos that inspire your audience to hit that magical ‘share’ button. It’s a challenge worth aspiring to, as the benefits of a popular social media video that is highly shareable can be extremely profitable. This is a slightly amended version of an article written by Marcus Seeger, bestselling author of Video Marketing for Profit: 14 Proven Strategies for Accelerated Business Growth. It has been shortened to make it suitable for web publishing.